If your laptop keyboard is not working on Asus, don’t worry! It’s one of the common issues and you can easily fix the ASUS laptop keyboard not working issue. Whether you’re getting the issue like keyboard not responding, keyboard not detected by your Windows, or some keys not working, you can resolve your issue with the methods in this article. How do I fix laptop keyboard not working on Asus? Here are solutions that have helped people resolve ASUS laptop keyboard not working. You don’t need to try them all; just work your way down until your problem is fixed. Note: All the screenshots below are from Windows 10, but the fixes apply to Windows 8 & 7 as well. As many technical issues can be solved by restarting, it’s never harmful to restart your laptop to fix the keyboard not working issue on Asus, and it works like a charm for many users. So you can just simply restart your laptop and see if your keyboard works. The battery issue is one of the possible hardware faculties. 2) Remove the battery from your laptop. 3) Wait for few seconds, and connect your laptop with AC power cord directly. 4) Reboot your laptop and check if your keyboard works. If you are using the USB keyboard, check if the USB connection works properly. You can try to unplug and re-plug the keyboard to reconnect. Or you can plug the keyboard to another USB port and see if it works. If you are using a wireless keyboard, make sure the wireless connection works properly. Move your keyboard closer to your wireless receiver. 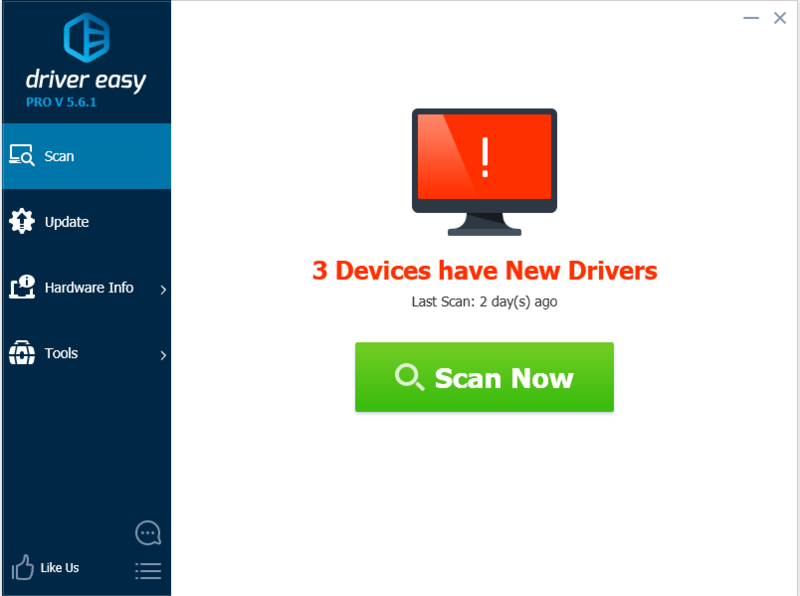 A missing or outdated driver can cause the problem. If the keyboard issue persists after uninstalling the keyboard driver, you can try update the keyboard driver for your Asus laptop. There are two ways you can update your keyboard driver: manually and automatically. Manually update the driver – You can update your keyboard driver manually by going to the official Asus website, and searching for the latest driver for your keyboard. Make sure that the driver is matched with your Windows OS and your laptop model. This requires time and computer skills. 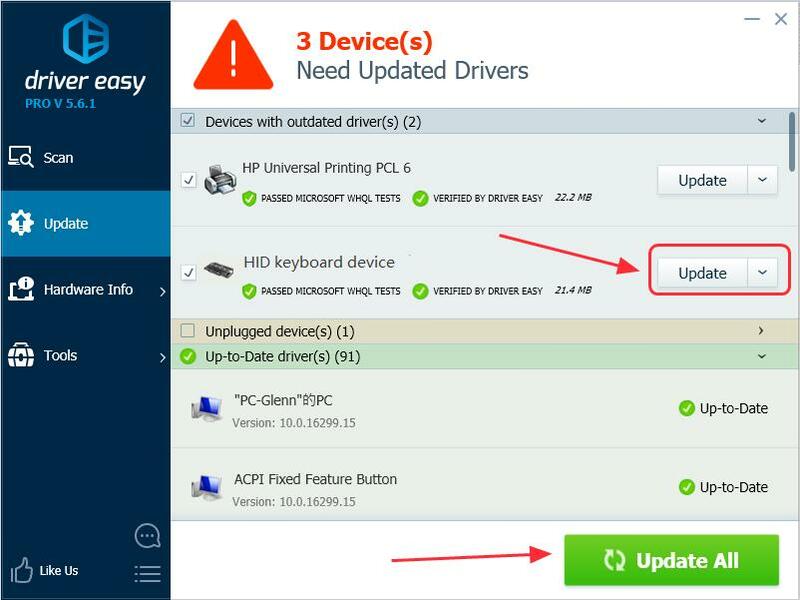 Automatically update the driver – If you don’t have time or patience to manually update the driver, you can do that automatically with Driver Easy. 3) Click the Update button next to the flagged keyboard device name to automatically download the correct version of those driver (you can do this with the FREE version). Then install the driver in your computer. 4) Restart your laptop, and check if your keyboard works. The incorrect or corrupted driver can cause the keyboard issue on your laptop. You can reinstall the driver for your keyboard. You need to do this in Device Manager. If only some keys stop working, you can run devmgmt.msc in the Run box to directly open Device Manager. If none of the keys work, don’t worry, you can try the steps below to open it. 1) You can open Control Panel in your computer first. You can click the Start button on your desktop, then you should see Control Panel in the list. In the newer Windows 10 versions, Control Panel may be removed from the Start button, but you can use Cortana: click Cortana, and say Device Manager, then you can open Device Manager directly. 2) click view by small icons or view by large icons to view all Control Panel items. 3) Click Device Manager to open it. 4) Double click Keyboards to expand it, and right click on your keyboard, then select Uninstall device. 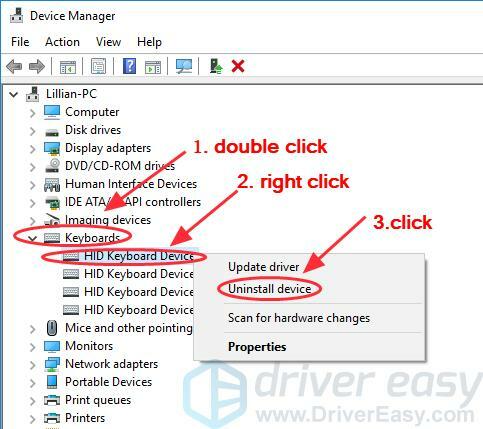 6) After uninstalling, restart your Asus laptop and Windows will reinstall the device driver automatically for you. Then check if your keyboard works now. 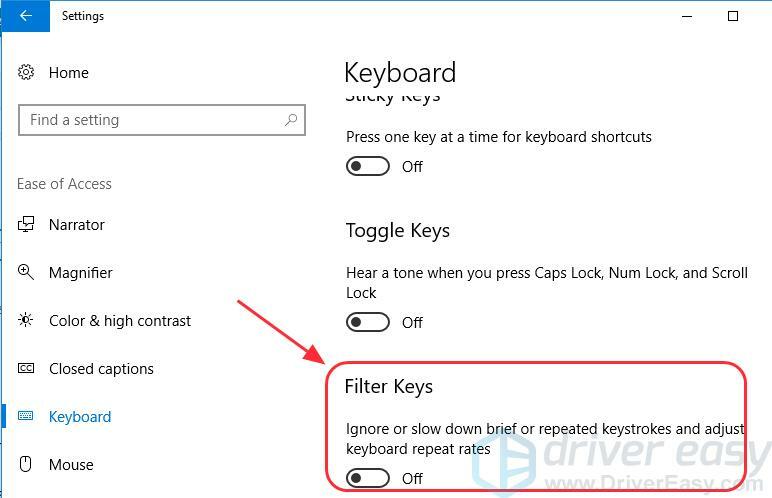 You can try to modify the settings for Filter Keys in your laptop to fix the keyboard issue. Filter Keys enables you to control the pace of repeated keystokes and slow down the acceptance of keystrokes if required, in order to make typing easier for users with hand tremors. 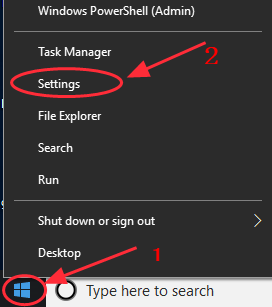 1) Right click the Start button at the bottom left on your desktop, then click Settings (if you are using Windows 10) or Control Panel (if you are using Windows 7). 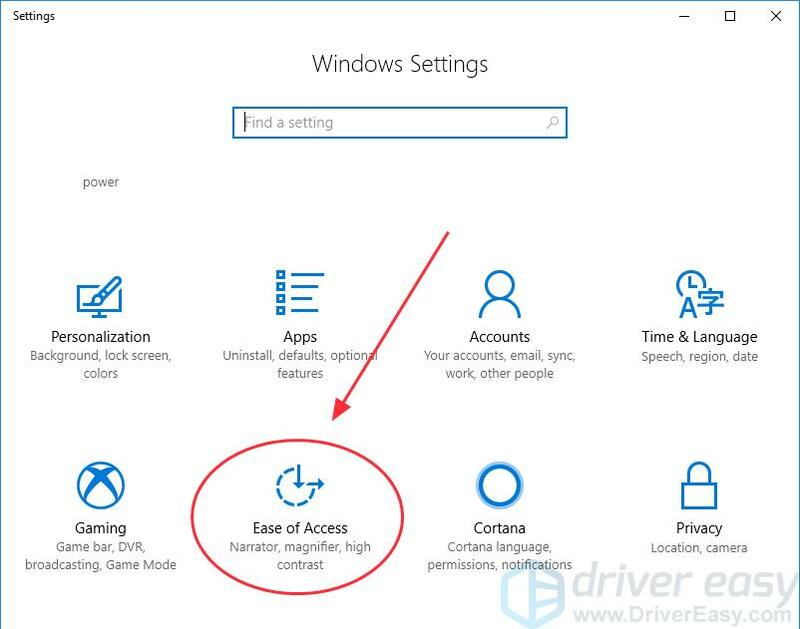 2) Click Ease of Access (or Ease of Access Center). 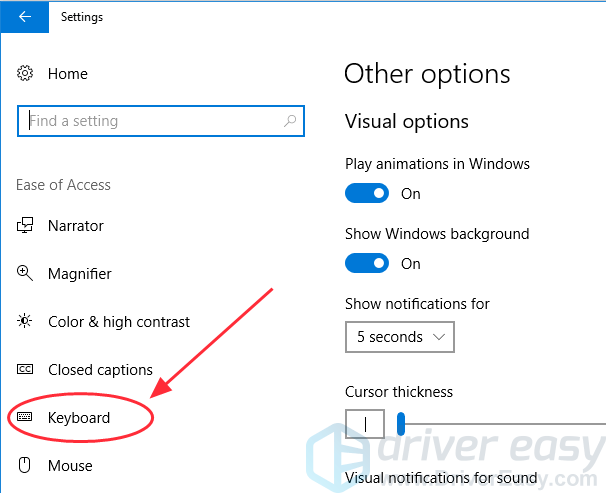 3) Click Keyboard (if you are using Windows 10) or Make the keyboard easier to use (if you are using Windows 7). 5) Restart your computer and check if your keyboard works on your Asus laptop. That’s it – the five effective solutions to fix Asus laptop keyboard not working. If you have any questions, feel free to leave a comment below. If you think it helpful, feel free to share with your family and friends.